This is just a small haul, I did buy more but I was extra organised and actually started on my Christmas shopping, and I did end up missing out on the advent calendar I meant to buy as it sold out but I’m happy with the few things I did get. 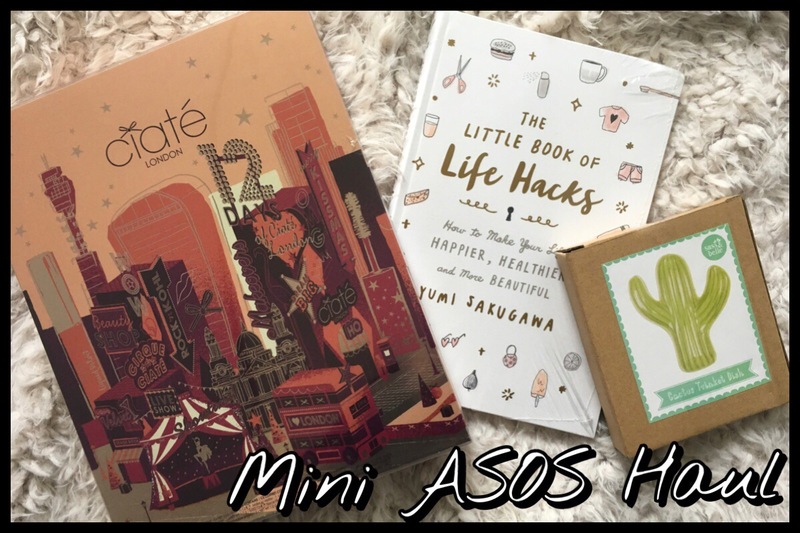 Earlier this week ASOS had a site wide 20% off sale so I decided to get some things in it, including the first advent calendar of the year. Or sort of advent calendar. I have a question for any of you who get these twelve days of Christmas style advent calendars; do you open them in the lead up to Christmas or on the actual twelve days of Christmas which actually starts on Christmas Day? I’m undecided on when I’ll do mine but there’s plenty of time to decide and I just wondered what any of you guys do. As I left this order a bit late in the day I did forget exactly what I’d bought so it was a bit like Christmas opening it and not sure what I’d got besides the advent calendar. Do you guys do that too? Make man order late at night or when you’re only half awake and forget what was in it? I should really stop but I did save nearly £10 on the advent calendar which made it even better value.